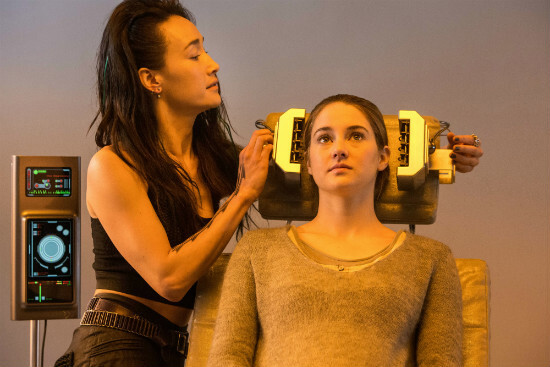 The trailer for DIVERGENT, the latest contribution to the list of dystopian YA adaptations, has surfaced today. While fans zero in on its star Shailene Woodley, I am all about the five seconds that Maggie Q is in the clip. If you've watched even 10 minutes of The CW's "Nikita," then you know that Maggie Q is all kinds of awesome. Plus, it looks like she's got her hair up in spiked tendrils, so you know she means business. I can't wait for it. DIVERGENT is a thrilling action-adventure set in a future world where people are divided into distinct factions based on their personalities. 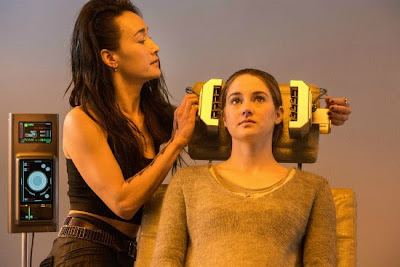 Tris Prior (Woodley) is warned she is Divergent and will never fit into any one group. When she discovers a conspiracy to destroy all Divergents, she must find out what makes being Divergent so dangerous before it's too late. DIVERGENT is based on the best-selling book series by Veronica Roth. I have to admit, I find the idea of uniqueness as a possibly fatal detriment, especially among the younger set, quite fascinating. So I may just read the novel before the movie hits theaters next year (March 21, 2014). Anyone of you read it? You're welcome to share any thoughts below in the comment box. The film is directed by Neil Burger, who helmed Limitless and The Illusionist (neither of which I particularly like), and is written by Evan Daugherty (Snow White and the Huntsman) and Vanessa Taylor (Hope Springs). Okay so these three don't have the best credits, but lets hope their joint collaboration defies expectations. Besides, Kate Winslet is in the movie too so how bad can it be? Right? I love Maggie Q but the team behind this film hardly instills confidence even though there is some solid talent in front of the camera.